Photo by Ted Pease Mike Reinman, manager of Redwood Coast Vacation Rentals, owns Trinidad’s only “apartment building,” a four-plex next to the Eatery. The City Council recently clarified the VDU ordinance to limit properties to only one short-term rental per parcel. Photo by Ted Pease Crab fisherman Dan Cox in his driveway on Ocean Avenue. VDUs have wrecked his street and his town, the Trinidad native says. Photo by Ted Pease Kathleen Lake, the Ocean Avenue resident who quit the Planning Commission in October after a threatened lawsuit by rental manager Mike Reniman, tells a special Planning Commission public hearing in November that she supports a total ban on all short-term vacation rentals in Trinidad neighborhoods. Photo by Ted Pease One of four VDUs on Ocean Avenue, a street of small lots and 15 total homes in just over one-tenth of a mile. Photo by Ted Pease Early on a December morning, Ocean Avenue is quiet and its vacation rentals are empty. Photo by Ted Pease Homes are cheek-by-jowl in Trinidad, geographically the smallest incorporated city in California, so residents are sensitive to transient vacationers next door. TRINIDAD — Born and raised in Trinidad, Dan Cox remembers what his tiny coastal "fishing village" used to be. 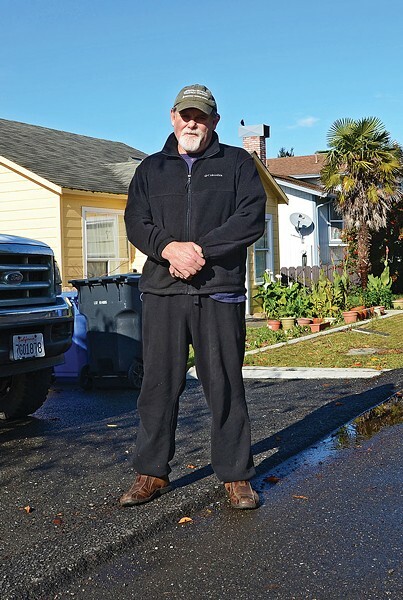 "I'm the guy who wants to have more young families with kids in this town," says the 63-year-old commercial crab fisherman. "You know there used to be seven Little League teams in Trinidad? That's how many kids there were." Now, standing in the driveway outside his Ocean Avenue home, around the corner from the house where he grew up, Cox looks down the street and shakes his head. His neighborhood has gone to hell, he says, ever since the town let vacation rentals take over. Ocean Avenue runs nearly the full width of Trinidad, which is, geographically, the smallest incorporated city in California, with something like 360 fulltime residents. Between Main Street to the north and the bluff overlooking Trinidad Harbor to the south, Ocean Avenue is just over one-tenth of a mile long. And it's ground zero for Trinidad's civil war over VDUs — vacation dwelling units. A lot has changed in Trinidad since Cox was a boy. The population has dropped slightly from the 379 residents it had in 1990, according to the U.S. Census. Meanwhile, the number of housing units has jumped more than 20 percent. Median home values have risen from $150,000 in 1990 to $430,000 today, according to the Census and citydata.com. And the face of the average resident has changed oas well. In 1990, Trinidad's median age was 42.7 years old; today its 50.2. And, as Cox says, there are fewer kids running around these days: residents 18 and younger live in only 29 percent of Trinidad homes, according to the Census, compred to 78 percent of homes countywide. Magazines have touted unspoiled Trinidad as a vacation desination and tourists have started coming in much bigger numbers over the past 15 or 20 years. As real estate prices went through the roof, homes where modest families once lived year-round sold for small fortunes to vacationers and speculators. In the late 1990s, few visitors to Trinidad wanting more than a motel room for a couple of nights could find rentals for less than a 30-day stay. Sure, there were B&Bs, and the RV parks and campgrounds, but longer-term rentals options with a bit more character were hard to come by. These days, however, Trinidad offers scores of options, from $100-a-night rooms and mother-in-law-units to six-bedroom palaces for $600 a night or more. The little fishing village isn't so sleepy anymore, as Trinidad joins big cities like New York and San Francisco, and smaller towns like Mammoth Lakes and Carmel in trying to stem the rising tide of vacationers and short-term renters. The issue pits Trinidad's homeowners and sellers in what continues to be a high-end real estate market against full-time residents who worry they are losing their town to crowds of strangers partying next door. A survey of Trinidad residents last year identified "preserving community character" as a top priority. But owners of short-term rental houses — and the rental managers who work for them — argue that the rentals bring new faces and, perhaps more importantly, needed dollars to town. And, they say, no one has a right to tell them what to do with their property, anyway. Now, Trinidad is playing catch-up, trying to rein in rentals in a well-discovered vacation destination. "They should've had all this in place before we got started with this," Cox says. "How do you fix it now?" Trinidad is losing its small-town character, complain locals, who fight crowds in the summer, and live on blocks of dark, empty houses in the winter. "You want to know what this town is going to look like?" asks City Councilman David Winnett, who sits on a special committee evaluating the VDU issue. "Go to the Jersey Shore in the winter. It's a ghost town." It's ironic that the first city on the North Coast to try to come to grips with the short-term rental problem is tiny Trinidad, which only has about 230 houses in its one square mile. But perhaps that's why Trinidad has become the vacation rental battleground: It's a small-scale case study, and its 28 licensed VDUs, and the others waiting for a moratorium to expire, have a big impact. It's not as if going on vacation turns everyone into crazed, drunken Las Vegas conventioneers. Visitors escaping inland heat bring their kids to shriek in the Clam Beach surf and ogle the seastacks from Moonstone to Patrick's Point, and also to eat in local restaurants and meander through gift shops and art galleries with open wallets. Shop owners like Trinidad native Loré Snell of the Trinidad Trading Company and WindanSea on Main Street will tell you that tourists — her customers — keep the town alive. But other residents have stories to tell about rude, unruly and sometimes even threatening short-term neighbors. Not long before Thanksgiving, a large vacation rental on Parker Creek Road erupted twice into raucous all-night house parties. Infuriated neighbors called the sheriff and filed formal complaints with the city. It was a mess, acknowledges Mike Reinman, whose Redwood Coast Vacation Rentals manages the Paloma Creek Lodge on Parker Creek. It was doubly troubling for Reinman, who owns the property himself, coming in the midst of public agitation to ban VDUs. Trinidad depends on the revenue from vacation rentals to support city services since it started licensing short-term rentals in 2004. That year, there were 18 VDUs on the books that brought in $26,621 in Transient Occupancy Tax (TOT). In 2014, with 39 short-term rentals licensed by the city, officials decided it was past time to develop regulations. After adopting a new VDU ordinance last spring, the city council almost immediately adopted an "emergency" moratorium on licenses so city staff could put the new regulations in place. That has gone much slower than anyone wants. So far, 28 of 38 existing VDUs have been inspected and licensed, with the others pending or on "standby" for various reasons, says City Clerk Gabe Adams. Clearly, tourism and vacation rentals constitute a growth industry for Trinidad. Last year, the city took in nearly $131,000 in taxes from VDUs — about 24 percent of the city's annual budget — and this year's income will top $138,325, says Adams. Residents understand that the income from vacationers is valuable, and it's not that the town doesn't like showing off its coast to visitors. But some are increasingly vocal in their resentment of the visitors who invade their neighborhoods to rent what used to be private homes next door. "I don't know these people, and that makes me uncomfortable," says Gail Kenny, a longtime Ocean Avenue homeowner. "Now we live next to a hotel room." Mara Parker doesn't live in Trinidad proper, but she and her Westhaven neighbors consider themselves Trinidadians. Although the city's regulations won't affect Parker, she and others living outside city limits are paying close attention to a process that may become a countywide template. "The peace and quiet of this small town is being sold off to the vacation rental profiteers," Parker wrote a letter published in the Times-Standard and posted on her Facebook page, "Save Westhaven from Vacation Rentals and Corporate Greed." Parker and her neighbors have complained online about problems with "illegal" vacation rentals in Westhaven, ranging from drunken parties and speeding cars to fires and noise, and about a general lack of oversight from the county, which collects business taxes from VDUs but has no short-term rental ordinance or enforcement policy. "Vacation rentals are businesses and are not zoned to operate in residential areas," Parker wrote. "Yet they have popped up uncontrolled like voracious weeds in Humboldt County and have taken over neighborhoods like the bullies they are." That's a refrain heard up and down the California coast as many communities scramble to put the brakes on the rise of Airbnb and other online vacation rental websites. Residents' rancor is not aimed so much at the vacationers — although everyone living near the short-term rentals has stories about loud parties, trash, parking and traffic problems and late-night run-ins with inebriated visitors. They don't even blame the absentee owners of the rental houses, really. Rather, VDU opponents like Tom Davies and Kathleen Lake, who live across Ocean Avenue from the Coxes, focus their criticism on the two entities they say are responsible for an increasingly bad situation: the vacation rental managers and Trinidad city officials, who they say have buckled to economic interests and let the problem get out of control. "Living sandwiched between short-term vacation rentals for the past 10 years has been hell for us as Trinidad citizens," Lake and Davies wrote in a recent letter to the Trinidad Planning Commission. Four of the 15 houses on Ocean Avenue are short-term rentals. The narrow street is constantly lined with parked cars. Lake and Davies have become leaders of the Anti-VDU movement, embodied in their Facebook page, "Saving Trinidad Neighborhoods." In an October letter to the editor of the Mad River Union titled "Respect Trinidad's General Plan," Lake called for a ban on all VDUs, arguing that short-term rentals violate the city's existing code by "commercializing" residential neighborhoods. On the other side are the absentee owners of homes that are paid for in part by vacation rental fees, and — especially — the rental managers who work for them. Redding attorney Walter P. McNeill represents a group called "PORT" — Property Owners of Rentals in Trinidad. Appearing at the Nov. 4 planning commission hearing, McNeill reassuringly told commissioners, "I am not here to threaten you with litigation," and urged city officials to commission a comprehensive study of the VDU issues. But at another planning commission meeting earlier this month, McNeill ratcheted the rhetoric up when he told the commissioners the VDU moratorium was illegal in the first place, and that the hearing on a VDU cap could be legally actionable. 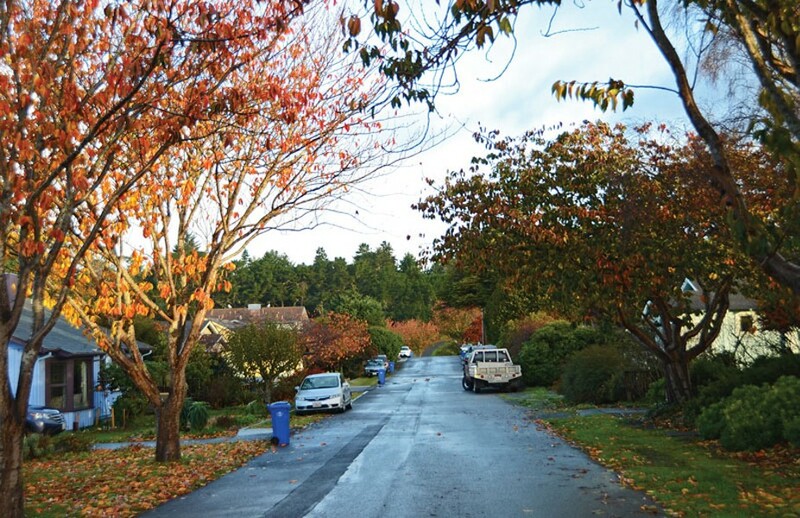 "My clients strongly object to both the present moratorium and any proposed 'cap' on vacation dwelling units," McNeill wrote in a November letter to the city, referring to the proposed cap as "a solution in search of a problem that doesn't exist." The city was overacting, McNeill said, "to a sort of xenophobic fear expressed by a vocal minority of residents that VDUs might somehow 'take over the town.'" But McNeill and the pro-VDU forces were disappointed on Dec. 3, when the planning commission for the first time formally "expressed a consensus" in support of a VDU cap. The commissioners also asked staff to come back with proposals to combat density issues, such as the "clustering" of VDUs on Ocean Avenue. Stuck in the middle of this debate are the embattled volunteer members of Trinidad's city council and planning commission. The growing rancor and litigious threats are clearly on the minds of city officials. There has to be a middle ground, say Mayor Julie Fulkerson and Planning Commission chairman Mike Pinske. Lake, who's outspoken in her opposition to any VDUs in Trinidad and disappointed in city leadership, first tried to work within the system. The 14-year Trinidad resident joined the planning commission in May, in part to work on the short-term rental "problem," only to resign suddenly in October, the day before a scheduled a public hearing on a VDU cap. 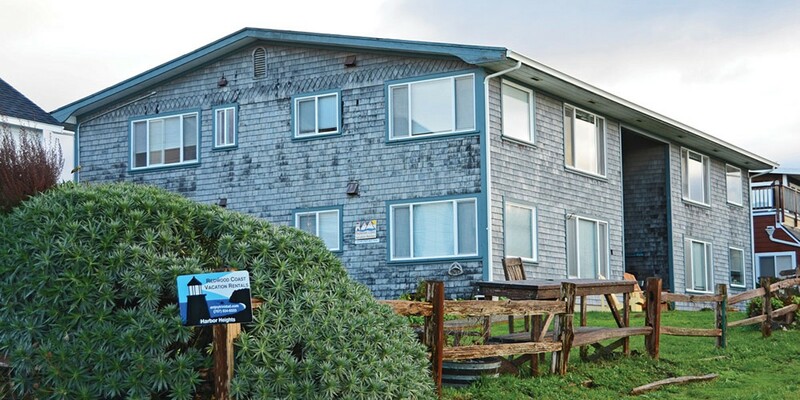 The reason for her resignation, she says: Mike Reinman, owner of Redwood Coast Vacation Rentals, accused her in a letter to the city of "a clear conflict of interest," and threatened to sue her and the city if she did not recuse herself from VDU deliberations. "This kind of bullying by short-term rental supporters is common across the country, and cannot be tolerated," Lake and Davies said in an open letter to the city. If anything, the tactic backfired, as Lake and Davies stepped up their organizing in support of a ban on VDUs in residential zones. Lacking a ban, opponents want to cap short-term rentals at the current number, continue the moratorium on new VDU licenses, and move them out of residential zones, which is pretty much all of Trinidad. VDUs have been a "creeping" problem for years, they say. The city's general plan does not permit businesses like vacation rentals in residential zones anyway, they argue. And no one is enforcing the rules — or common courtesy — which forces residents to police their own neighborhoods and confront short-term renters who are acting badly, or property owners who are out of compliance. Although the anti-VDU forces are more vocal, not everyone is opposed to vacation rentals; most locals understand the town, once supported by fishing, now depends largely on tourism. The most adamant supporters are the absentee property owners, and rental managers like Reinman and Jonna Kitchen of Trinidad Retreats, whose two agencies represent 14 of Trinidad's VDUs. 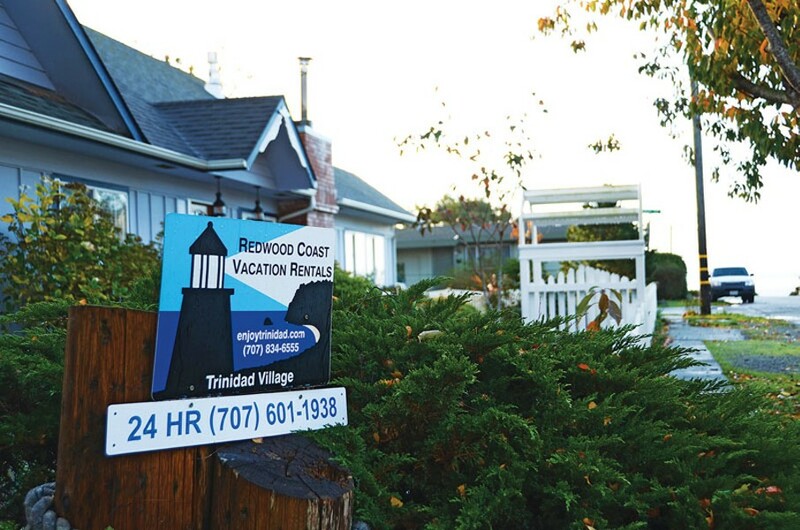 Reinman's Redwood Coast Vacation Rentals handles more than 80 properties from Garberville to Orick to Willow Creek. Property owners argue that renting their places is the very mechanism that permitted them to buy expensive Trinidad real estate in the first place. One of those who spoke at last week's public hearing quoted a property owner who explained his financial strategy: "I bought in a VDU market, and I'm going to charge VDU rental rates," which describes part of what's happened to home prices in the Trinidad area. This week, a random search of the real estate website Zillow showed 10 Trinidad homes for sale at an average of $600,000, ranging from $345,000 for a 720-square-foot Big Lagoon cottage to a 1,700-square-foot oceanfront home for $1.1 million. 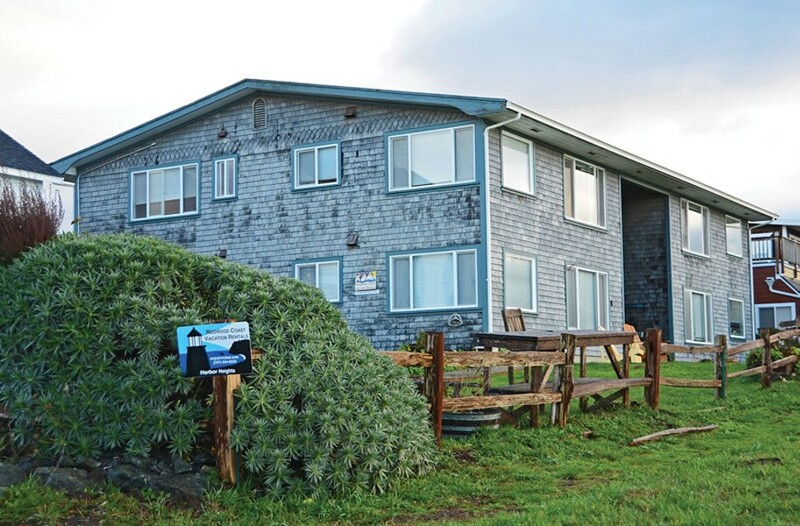 Some VDU owners purchased their properties with the intent of retiring there eventually. Karen McCarter of Ashland, Oregon, bought her Ocean Avenue house for $499,000 in 2009, just down the block from Lake and Davies. She plans to live there when she retires. In a letter to the Planning Commission, McCarter explained that she decided to switch to short-term rentals after long-term renters had turned her house into a "major cannabis operation." Vacationers, she reasoned, would do less damage to her property — and to the street — than unsavory long-term tenants. "A vacation rental owner can be a good neighbor," she wrote. "Vacation renters are not bringing in big cannabis grows and they are not making meth. They are spending their money to keep local Trinidad businesses lucrative and employ local residents to maintain [their] properties." Local realtor Sue Forbes agrees. In an Oct. 16 letter to the city council, Forbes said VDUs are not the issue. The real problem, she wrote, is a lack of public safety and a failure by the city to enforce the laws already on the books. "Consider if we focused on eliminating the increased crime, vandalism, homelessness and the lack of sensible security and protection for all," she said, voicing a common complaint in a town that got rid of its own police department in 2010, and depends on part-time coverage by a single Humboldt County sheriff's deputy. Further, Forbes argued, the city doesn't have the right to "restrict" property owners' rights, although others disagree, pointing to a wide array of standard local regulation ranging from signage to safety codes. 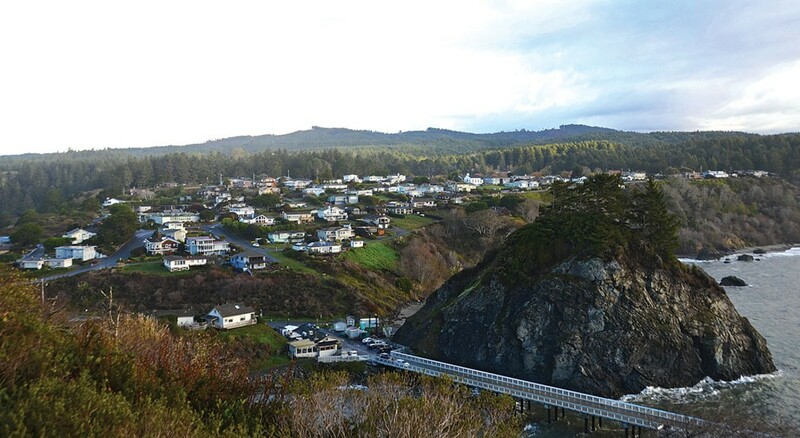 Kitchen, of Trinidad Retreats, points to a survey of 288 Humboldt County residents that found widespread support — 70 percent — for short-term rentals as an economic engine countywide. The September phone survey, conducted by Southwest Voter Research, found that only 12 percent of respondents thought short-term rentals should be banned, while 72 percent supported regulation. One of the things about the whole debate that most pains longtime residents on both sides is how much rancor the issue has stirred up and, perhaps even more than that, how their little town has changed. "I used to know everyone on my street," says Planning Commission Chair Mike Pinske, who lives at the end of Underwood Drive. Two homes directly across the street from him have recently sold, one is a VDU with a history of loud parties on the large upper deck that directly faces Pinske's house. Ocean Avenue resident Gail Kenny agrees. "I have definitely seen the flavor of the town change," she said. "I like knowing who my neighbors are. I have no complaints about vacation renters, but I don't know these people." Dan Cox, the Trinidad crab fisherman who lives next door to the Kennys on Ocean Avenue, says his street has gone nuts. "I'm getting political," he said as he recently settled in for another lengthy Town Hall meeting. "I already feel like I'm overtaxed and overregulated, so I don't want to come here and ask for more. But I want this town back the way it used to be." VDU owner Barbara Wright, who has lived in Trinidad for 30 years, says that's a dream. "Trinidad will never be the little family town it once was many, many years ago," she wrote in a letter to the editor. "We support [both] the concept of VDUs, and the concept of our town not becoming just another rental location. We just ask that everyone be open to all sides of this issue and not let their emotions determine outcomes." That's what former real estate agent Patti Fleschner hopes, too. She remembers the uproar in the mid-1980s, when the Trinidad B&B was proposed. "There was much vociferous outrage at the time about motorcycle gangs, etc., taking over the town," if tourism was encouraged, she says. "The vacation dwelling unit issue will sort itself out when neighbors and visitors are courteous and thoughtful toward each other," she said. "They can and will be." Maybe so, says Cox in his Ocean Avenue living room, thinking back to the Trinidad of his boyhood. "I'd just like to start all over." 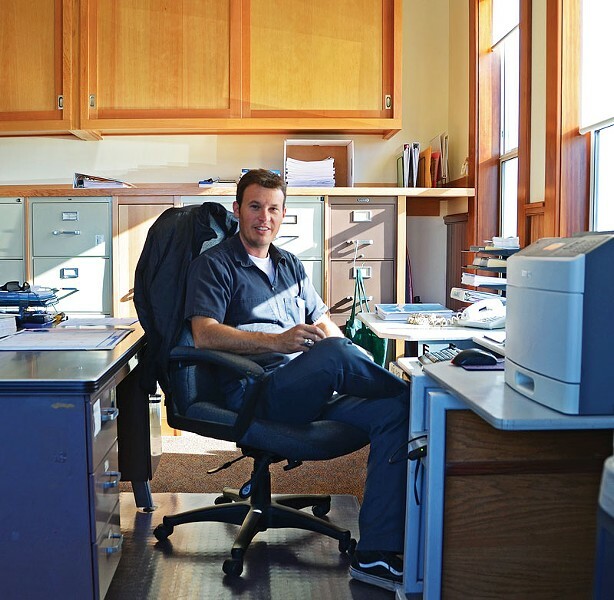 Ted Pease (tedpeasemedia@gmail.com) considers himself a "Trinidaddy," even though his house is not inside city limits. He, his wife and their dogs rented houses all over Trinidad for years before buying their home in 2004.